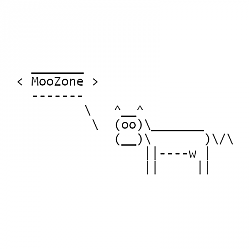 MooZone-1.0 is a library that provides information about the type of zone in which your character located. Returns the type of zone your character is currenty in. "lfg_raid" if in a Raid Finder group. Returns the localized zone name. Returns an iterator that gives key-value pairs of zone and localized zone name. MooZone-1.0 provides the following callbacks to notify interested addons when the zone type has changed. Fires when the zone type in which the character is located changes. 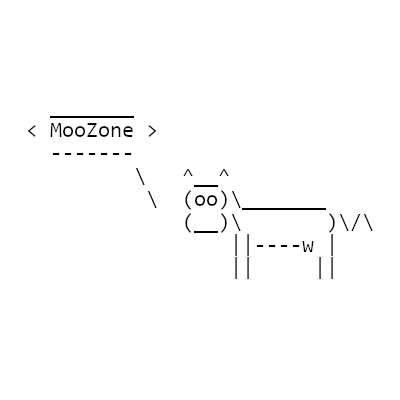 MooZone-1.0 is released under the 2-clause BSD license. Bump the minor version to 2 for release. Bump the TOC interface for BfA 8.1. * Change the default verbosity level to 2 to reduce output. * Change the default debugging frame to ChatFrame3. indicate that the MooZone_ZoneChanged message is being fired. Add WoWInterface project ID for use by packager/release.sh.